Today we drive to Pemyangtse (Pelling). On arrival transfer to hotel. Later proceed for sight seeing tour of Pemyangtse Monastery, The Rabdentse palace ruins, Sangacheoling Monastery,Khecheopalri Lake and Sing Shore Bridge.Overnight Hotel. 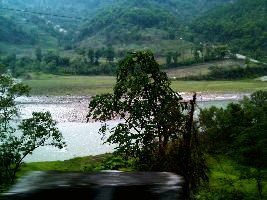 After breakfast we drive to Gangtok, the capital of Sikkim, located on a ridge overlooking the Ranipul River. 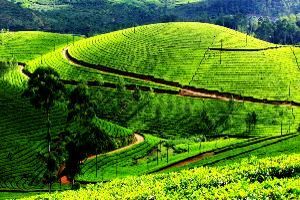 Its name implies 'High Hill' and the place is ever so famous for snow clad Himalayas, Rhododendron flowers, Orchids and rare Butterfly species, the Red Panda, traditional ethnic culture and a distinctive cuisine. On arrival we assist you to check in at our Hotel. Today we visit Himalayan Zoological Park also known as Bulbuley. It has paved cement path that passes by fenced open air enclosure housing the Red Pandas, barking deer and bears in a semi natural habitat. Next Government Institute of Cottage Industries (GICI), which produces crafts in authentic Sikkimese designs. Hand woven Tibetan carpets sprout dragons in natural dyes, Sikkimese-style tables called Choktse are expertly carved and colored in red and gold. Also explore Lal bazaar, melody of colour. Various ethnic groups from different villages gather to haggle, bargain, gossip their wares. We will also visit includes Namgyal Institute of Tibetology, which promotes research of the language and traditions of Tibet and contains one of the world's largest collection of books and rare manuscripts on Mahayana Buddhism.Overnight Hotel. 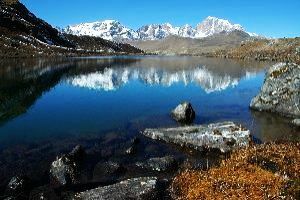 Today we drive to Kalimpong, an incredible stunning backdrop of towering snow capped peaks. This exotic town of beautiful people, mystical and enchanting, with a rare ethnic blend of hill people. It also houses several Buddhist monasteries which hold a number of rare Tibetan Buddhist scriptures. It was ruled by Bhutan for 155 years and was annexed by the British only in 1865, after which it flourished as a centre of wool trade with Tibet. Here Buddhism rubs shoulders with Hinduism and Christianity. Gumpas, unusual churches, temples and missionaries coexist in a jovial society.Later we visit Thongsa Gompa also known as the Bhutanese Monastery. It is the oldest monastery in Kalimpong and was founded in the year 1692. Though the old structure was destroyed by the Gorkhas, it was rebuilt on the same site. Next visit the Zong Dog Palri Fo-Brang Gompa, which is on the Durpin hill and is famous for the Tibetan wall paintings. It also has a religious debating society along with a school of Tibetan medicine. Later we visit Tharpa Choeling Monastery founded in 1937 and belongs to the Gelugpa (yellow hat) sect of Tibetan monastery. This Monastery houses many old scriptures and literary works. Next Dr Graham's Home, mission school was founded by Scottish missionary Dr. John Anderson Graham in 1900. The purpose of the school was to educate children of the tea garden workers and poor labourers. We also visit few nurseries around town.Overnight Hotel. Today we take the Excursion tour of Lava is a small village that is situated in the Kalimpong district of the state of West Bengal. 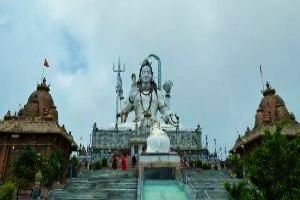 The place is well renowned for its beauty and it attracts nature enthusiasts and adventure buffs. 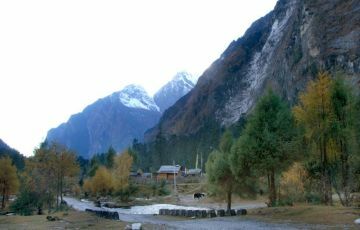 The town is situated at an altitude and this makes it a perfect place for many outdoor activities such as trekking, hiking and climbing. There are several trekking routes in the nearby forests and these are worth exploring. The people of the village still follow a traditional lifestyle and they are friendly and welcoming.The place is said to be a haven for bird watchers and numerous species of migratory birds can be seen in the area. Some of them include the rusty bellied short wing, blue robin, fulvetta, finch, wren babbler and many more rare birds. The forests of the region are relatively untouched and they are teeming with wildlife and these include the black bear and barking deer. There are several picnic spots in the region and these are ideal for spending the day in the outdoors. You can also visit the old Buddhist monastery that is located amongst the hills of Lava.Overnight Hotel. Today we drive back to Bagdogra airport to board flight to Kolkata. Farewell and tour ends.